Amazon S3 is a cloud file storage provided by Amazon Web Services at https://aws.amazon.com. 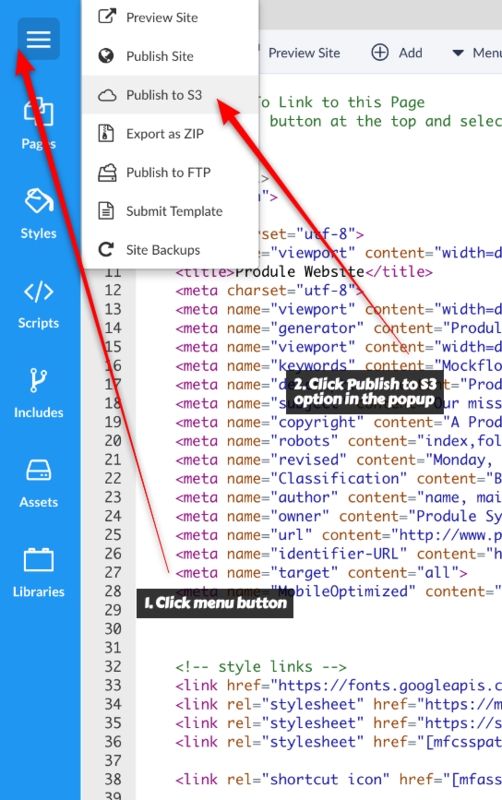 It also provides the ability to host static websites. 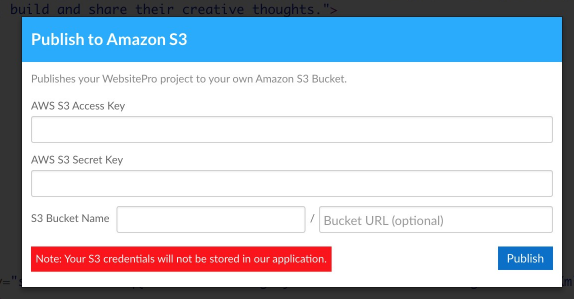 Important note: Your changes are not automatically synced with your Amazon S3 account as we do not store your secure credentials. Therefore you have to manually publish your website changes when it is ready for production. Amazon S3 settings popup - Note none of these settings are stored in our servers for security reasons. The values has to be re-entered everytime on Publish to S3.